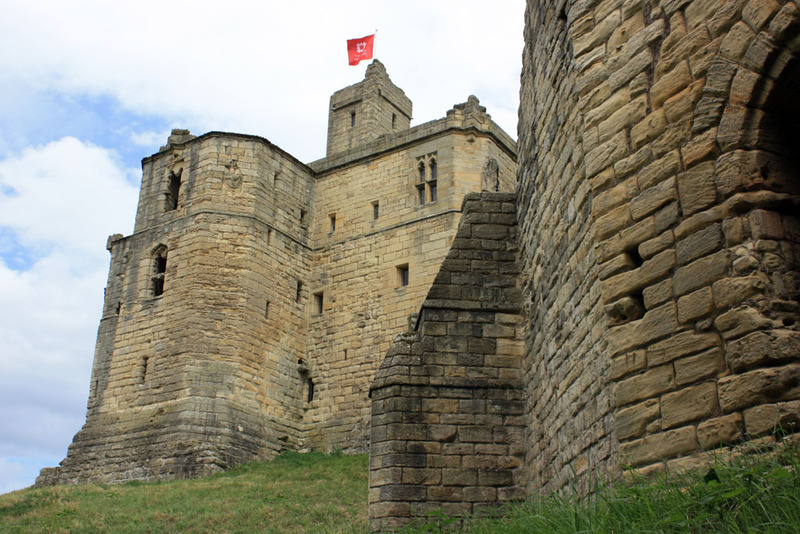 DAVID SIMPSON looks at the fantastic variety of castles found in North East England. ‘Northumbria’, the historic kingdom of North East England has an extraordinary variety of wonderful castles and fortifications. 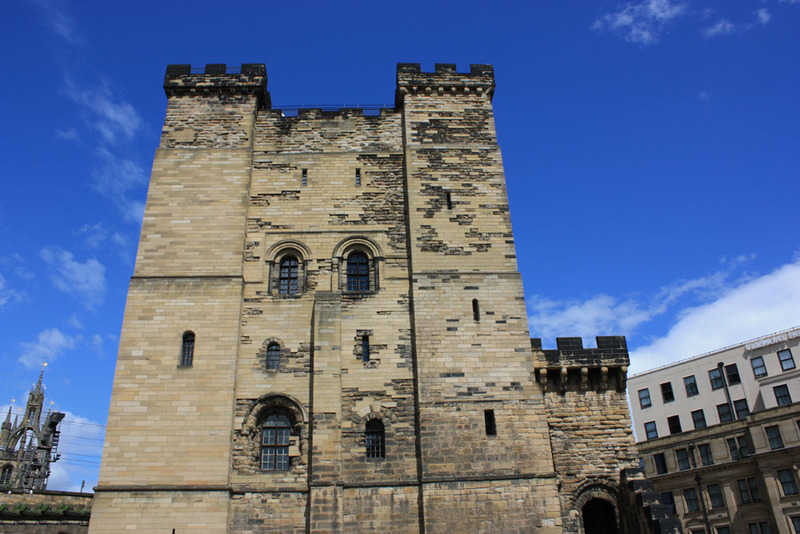 Even the three cities of the region: Durham, Sunderland and of course Newcastle have a castle each, while Northumberland has more castles than any other county in the whole of England. Several are pretty spectacular too. 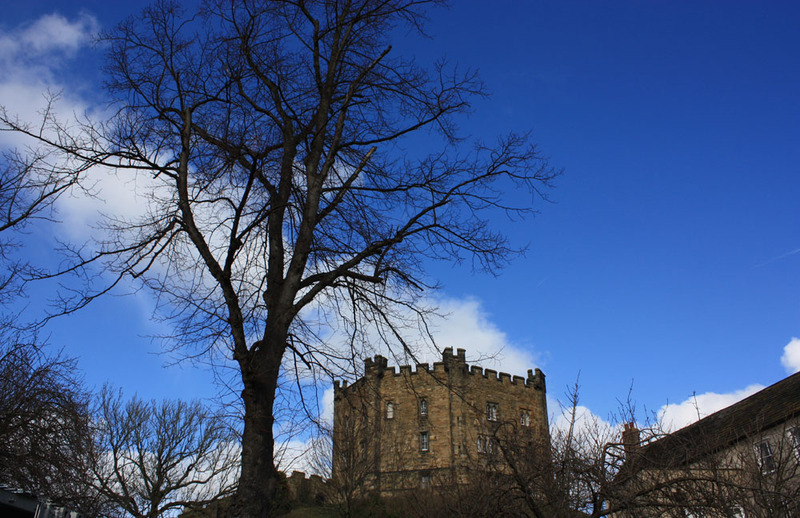 The castles range from fortified tower houses called ‘pele towers’ and fortified farms and barns called ‘bastles’ to grand medieval fortresses like Alnwick. Today a handful of castles are nothing more than a mound in the ground but there are still plenty more that stand as magnificent ruins or even as the complete article, though often with architectural additions of differing ages. Some castles are private residences, some are hotels while others are major visitor attractions drawing people from far and wide. Here we thought we’d take a quick wander around the castles of our kingdom. It still takes me aback when visitors express surprise that Newcastle has a castle – yet the clue is there, in the name. Newcastle’s castle of course gave its name to the famed city upon the Tyne and dates from Norman times. Before then the town was known by its old Anglo-Saxon name of Monkchester. It was Robert Curthose, the eldest son of William the Conqueror who built the first castle here of ‘earth and wood’ on the site of a Roman fort overlooking the Tyne. It was replaced later by another new castle on the same site that was built in 1172 during the reign of Henry II. Today the castle survives in two parts, namely the formidable Norman keep which dates from the 1170s and the beautiful Blackgate which dates from 1247. The two parts are separated from one another by the Victorian railway that cut the old castle site in two halves. Great views of the setting of Newcastle can be found from the top of the castle keep and logically there is perhaps no better starting point to explore the history of ‘the toon’. 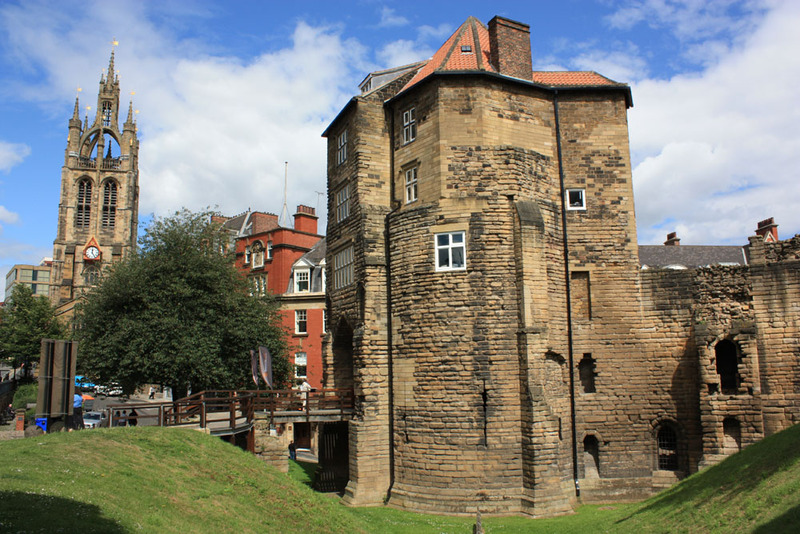 The castle protected the development of the early town of Newcastle but its importance in the defence of the place became less significant following the development of the medieval town walls from 1265. Nevertheless when Newcastle came under siege during the Civil War in the 1640s it was the castle that was the last place to hold out. Durham Castle in Durham City stands on the neck of the peninsula formed by the River Wear and dates from Norman times. There was an earlier Saxon fortification on the same site and it successfully defended the little city and its neighbouring Saxon minster. It seems to have fulfilled its defensive role rather well as Durham held out against the Scots in 1006 and 1038. William the Conqueror ordered that a new castle should be built here in 1072 and it developed from thereon with much of the older parts of the present castle dating from the reign of Bishop Pudsey (1153-1195). 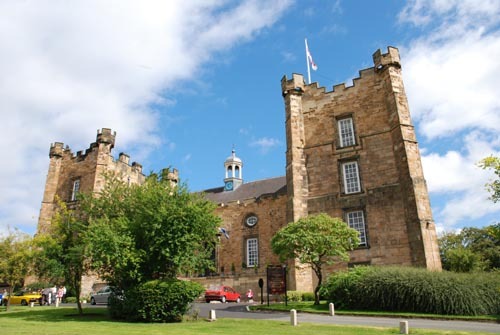 The castle keep is the most imposing part of the building and houses students of Durham University but the keep is in fact largely a nineteenth century restoration with the original having fallen into a ruinous condition. 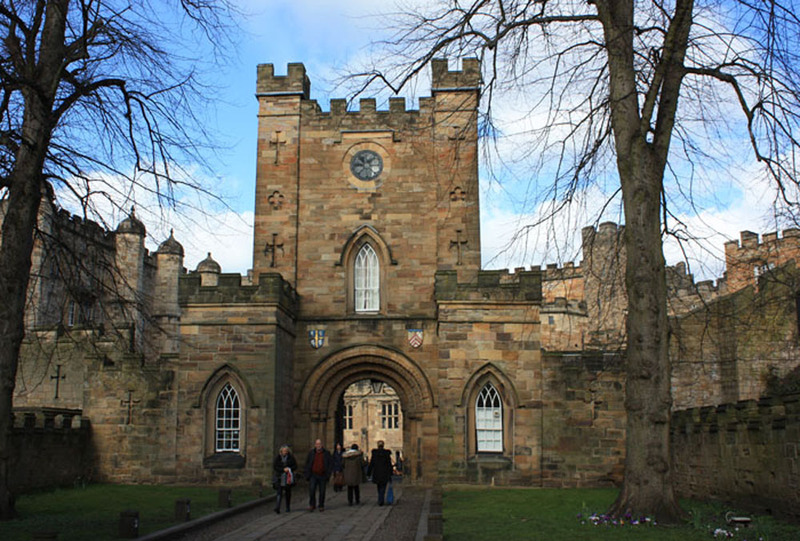 The keep was rebuilt in the 1840s at around the time the castle became part of Durham University. Much of the main body of Durham castle is, however, genuinely medieval, notably the great dining hall, though later parts of the building date from the Tudor and Georgian eras. Of course today, the castle is part of a World Heritage site that includes the neighbouring Durham Cathedral. A curious fact is that the whole river peninsula of Durham was once considered to be ‘the Castle’. So, the cathedral technically lay within the castle which is why the castle bailey that now takes the form of two streets called the Baileys runs along the cathedral’s eastern flank. It is sometimes forgotten that the City of Sunderland has a castle too though it lies away from the city centre to the west, where it gives its name to one of the Sunderland suburbs on the north side of the River Wear. Hylton Castle was built around 1400 by a William de Hylton on a hill overlooking the Wear and guarded a nearby ferry that was in operation from the 1320s. Hylton – the hill settlement – was the name of the nearby village from which the Hylton family took their name. Currently the castle is undergoing an exciting transformation into a living, working building that will benefit both the local community and visitors. The Hylton family had owned an earlier manor house on the site and became a powerful local family of note. Interestingly one member of the family later became a Governor of Tynemouth Castle. Tynemouth Castle is one of four splendid castles to adorn the North East coast between the Tyne and the Tweed. It stands high above the mouth of the Tyne and forms a splendid backdrop to the neighbouring sands of King Edward’s Bay. In a similar way to Durham Cathedral being enclosed within Durham Castle, the castle at Tynemouth enclosed the Priory of Tynemouth. In the reign of Henry VIII when Tynemouth Priory was closed for all time, the castle remained an important place of defence against the threat of Spanish, French or Scottish forces. Today, the priory and castle form a magnificent romantic ruin and a superb historic focal point for the fabulously genteel and lively seaside town of Tynemouth. However, as far as romantic coastal ruins go Tynemouth has a great rival further north up at Dunstanburgh near Craster on the Northumberland coast. This enigmatic castle was built in 1313 by Thomas, Earl of Lancaster and was extended by John of Gaunt in the 1380s. 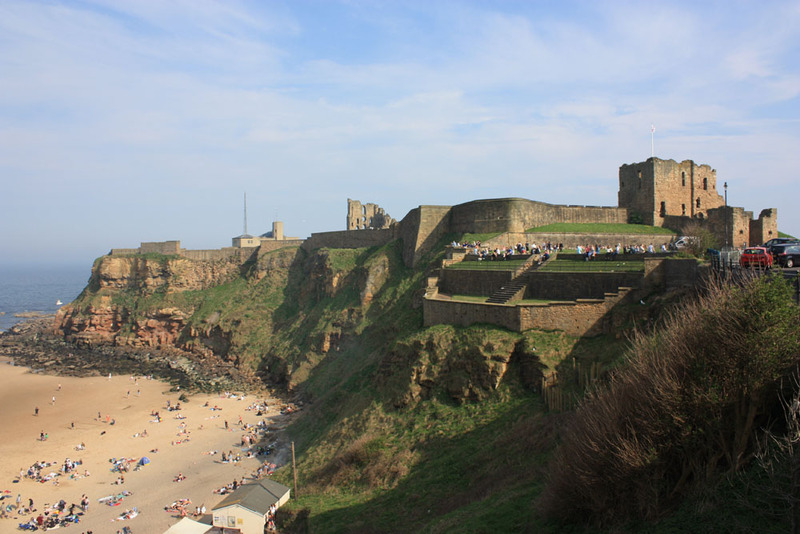 It occupies the largest site of any castle in the region and is a strong rival to Tynemouth for being the best-known coastal castle in the region. In truth both are overshadowed by the stupendous Bamburgh Castle, which is arguably one of the best-known castles in the world. For its setting, history and occasional movie appearances, Bamburgh is hard to beat when it comes to the North East castle hall of fame. Built on a site occupied since prehistoric times, Bamburgh can only be described as iconic such is its fame and magnificence. 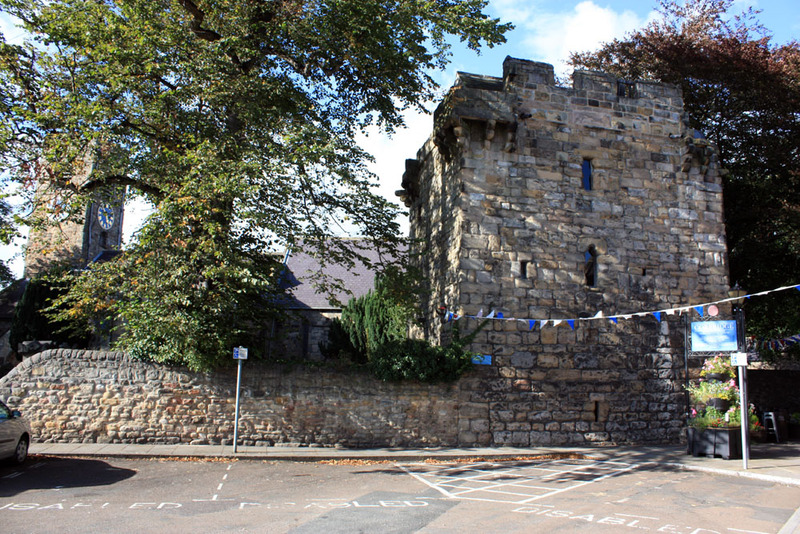 It was the site of the northern capital of the Northumbrians, consisting of a communal fortress and citadel but the building we see today is not the Bebbanburgh of Anglo-Saxon times as the place was refortified as a castle in Norman times. The huge keep at Bamburgh is twelfth century and much of the surrounding walls are medieval though the castle underwent much-needed restoration during its ownership by the famed Victorian industrialist William Lord Armstrong who also resided at Cragside. One unusual feature of the castle is that it has its own windmill (though no longer with sails) which can be seen at the western end of the castle. 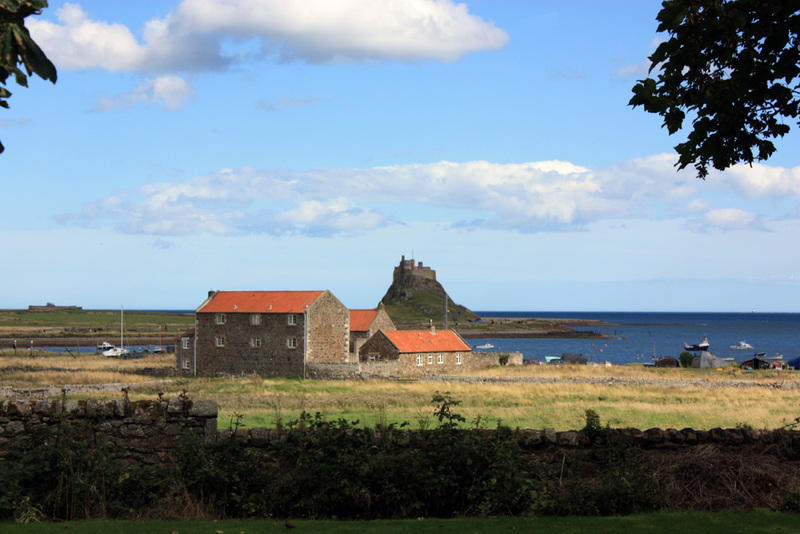 Of course, equally romantic to Bamburgh and Dunstanburgh is Lindisfarne Castle first built in 1550 on Beblowe Rock, the highest point on Holy Island which lies off the coast to the north of Bamburgh. This castle was beautifully restored and converted into a private residence by Sir Edwin Lutyens in 1903 and seems to almost grow out naturally from its rocky base. It is now owned by the National Trust. The grandest castles were often the homes to the most powerful barons and in the North East the Neville and Percy families ranked highest of them all. 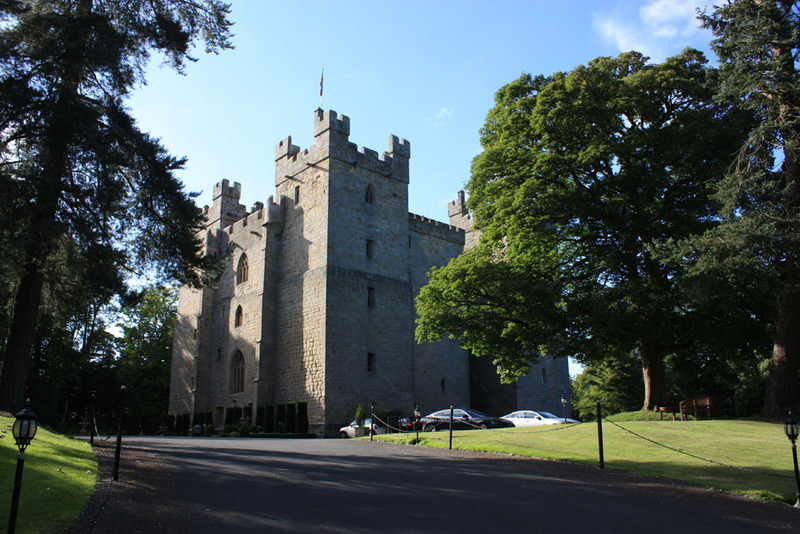 Brancepeth Castle near Durham was a Neville stronghold and one of the places at which the family plotted the Rising of the North against Queen Elizabeth I along with the Percys. However, it is Raby Castle with which the Neville family is most famously associated in the region. 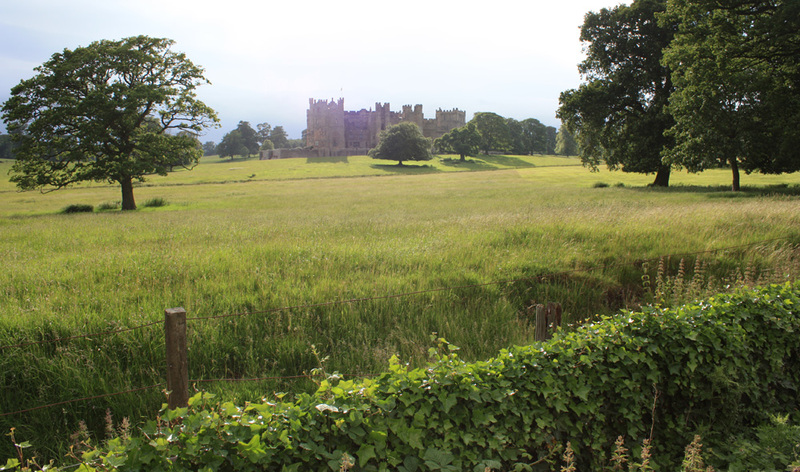 Situated near Staindrop in County Durham, Raby Castle stands within a beautiful deer park in Teesdale and is a quite breathtaking site when seen passing on the neighbouring road. Raby is stunning but is rivalled by Northumberland’s Alnwick Castle, the famous stronghold of the Percys who were the Earls of Northumberland. Famous Percys included Harry Hotspur (1364-1403), the war-hungry son of the First Earl of Northumberland. 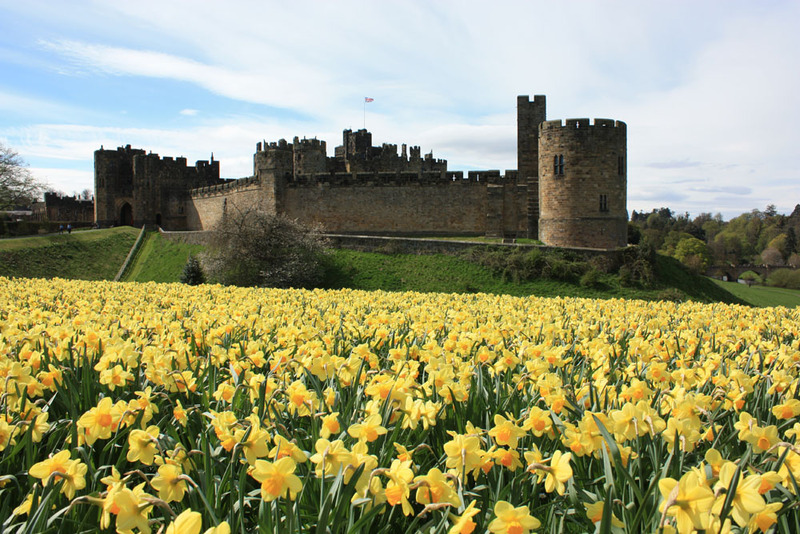 Today, however Alnwick is perhaps more closely associated with another Harry, Harry Potter, ever since the famous quidditch scenes of the movie were filmed here. 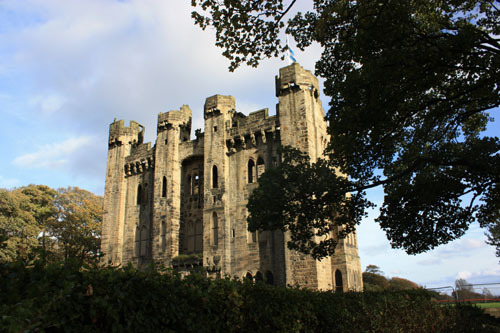 The Percys also owned Warkworth Castle near the mouth of the River Coquet, a castle that features in Shakespeare’s Henry IV and with which Hotspur has the strongest connection. Another castle, Prudhoe Castle, where the Tyne Valley meets Tyneside was yet another Percy stronghold and holds the distinction of apparently being the only major medieval castle in the North East that was never taken by the Scots. Lumley Castle in County Durham and Langley Castle in Tynedale, Northumberland are two particularly beautiful medieval castles which now serve as hotels. As hotels both often celebrate their historic roots by holding themed medieval banquets. Interestingly both also have a similar square-shaped design with four corner towers. Langley Castle’s owners in medieval times included both the Percys and the Nevilles although other powerful families included the Radcliffes and Umfravilles. 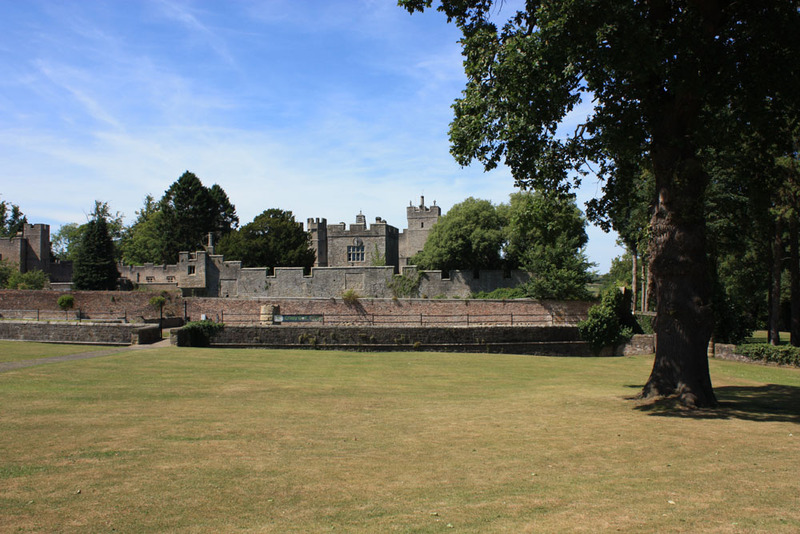 Lumley Castle once belonged to the Lumley family who were often involved in political intrigue in times past. 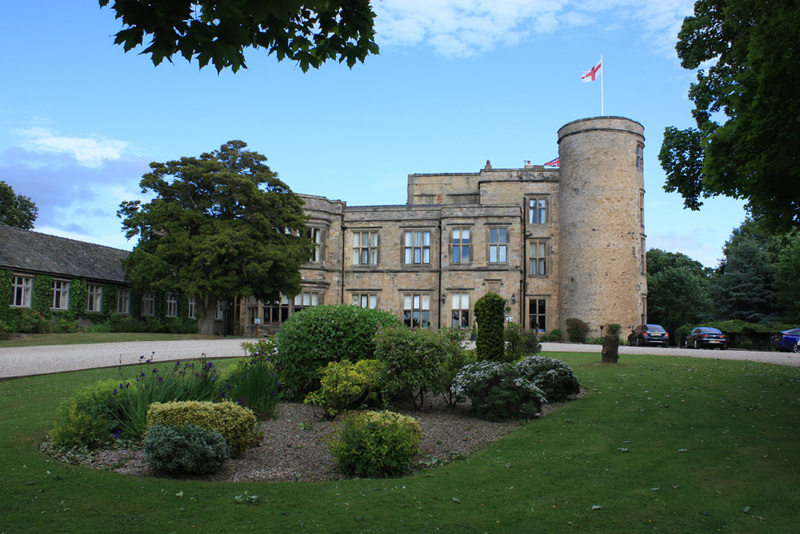 Another lesser-known castle that now serves as a hotel is Walworth Castle near Darlington which was built by a Thomas Jennison, Auditor of Ireland in 1603 but traces its earlier origins back to 1189. On the whole castles are much less numerous in County Durham and the Tees Valley than they are in Northumberland to the north because it is that bit more distant from the Scottish Borders. 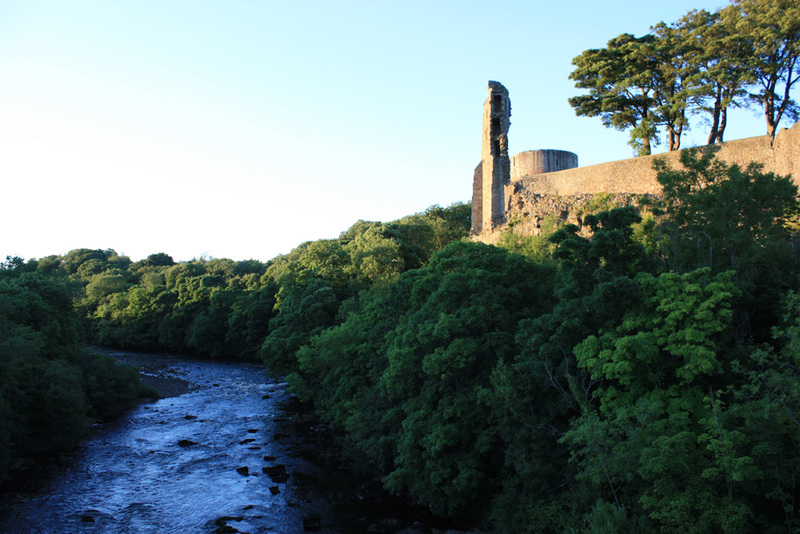 Barnard Castle in Teesdale is the best-known ruin in the county of Durham. It was historically associated with the Baliol family whose members included Bernard Baliol from whom the castle and neighbouring town both take their name. A lesser-known Durham castle is Witton Castle in lower Weardale which now forms the centre of a caravan country park near the pretty village of Witton-le-Wear. This castle was commenced from the conversion of a manor house around 1370 but much was rebuilt around 1700. Fortified tower houses or peles, which are so numerous in Northumberland are rare in Durham, though we can see the ruins of such houses at Ludworth east of Durham and at Dalden near Seaham. Several castles in County Durham were historically associated with the powerful Prince Bishops. Durham Castle, we have mentioned but others included Bishop Middleham near Sedgefield of which only a small mound remains. 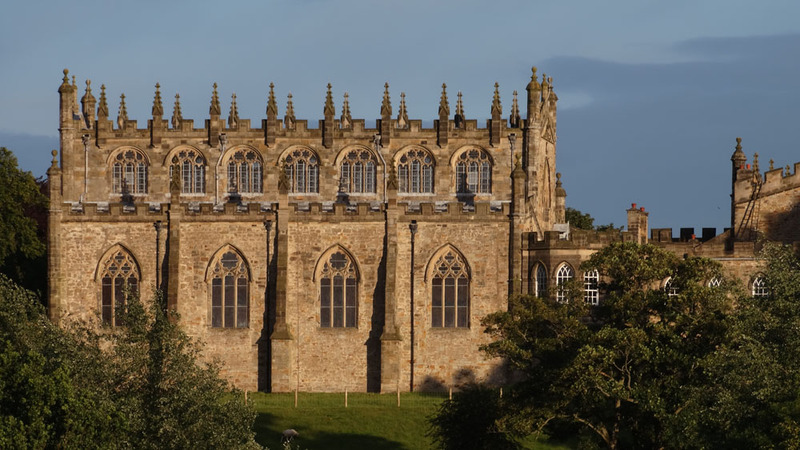 The bishops also held a castle at Stockton of which there is nothing remaining and of course they owned Auckland Castle, often termed Auckland Palace which is still one of the most stunning buildings in the county. 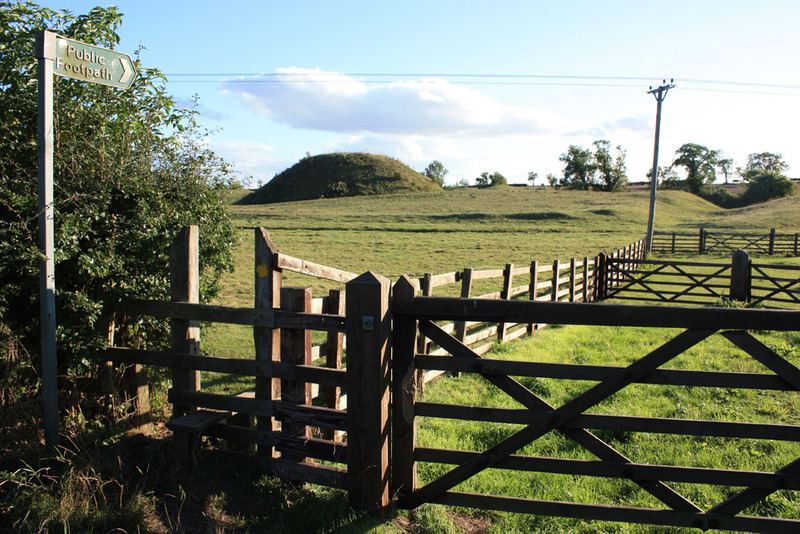 Another site of interest is Bishopton, a village near Stockton which has the rather impressive earthworks of a ‘motte and bailey’ castle nearby but which despite its name belonged to a baron called Roger Conyers rather than the bishops. In 1415 a list of over one hundred castles was compiled in Northumberland showing the importance of defences in that county in medieval times. 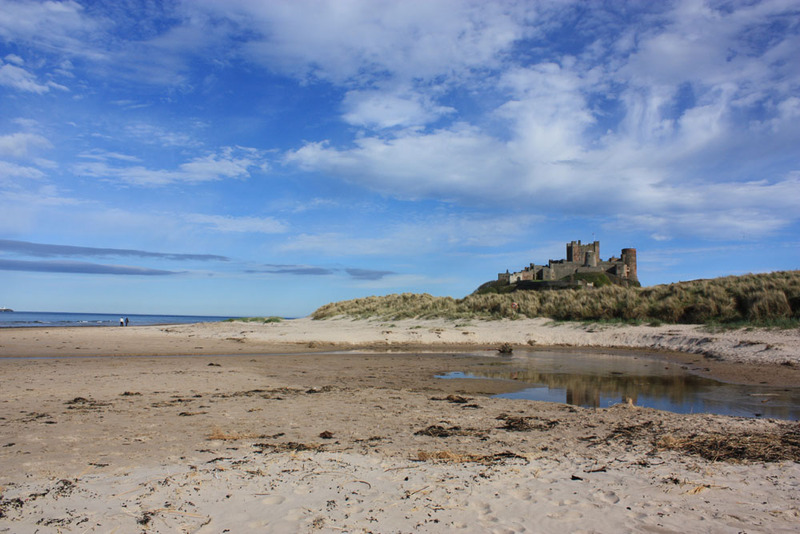 These castles varied in scale from simple fortified tower houses to grand castles on the scale of Alnwick and Bamburgh. Amongst the list is Aydon Castle near Corbridge, which is still one of the county’s finest medieval fortifications but on a larger scale are castles such as Ford and Chillingham both in the valley of the River Till in north Northumberland. 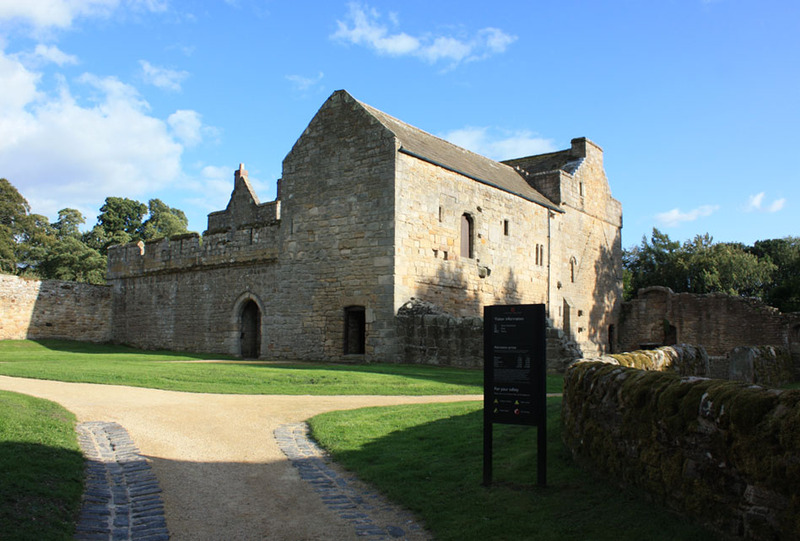 Chillingham, a fine medieval castle is a popular attraction today as a rather unusual castle noted for its rather eccentric ‘Aladdin’s Cave’ displays and its exhibition of medieval instruments of torture. 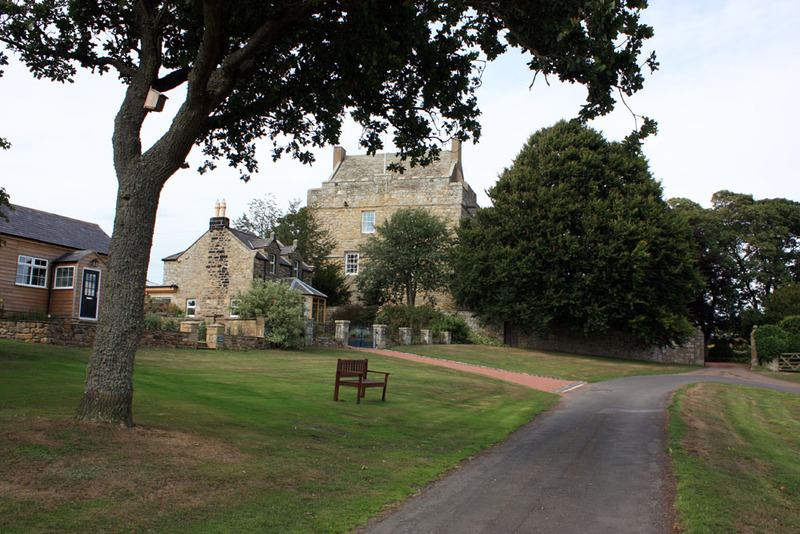 Chillingham is also noted for its ghosts – the most haunted castle apparently – though many Northumberland castles such as Blenkinsopp and Bellister in Tynedale also claim to have resident ghosts. 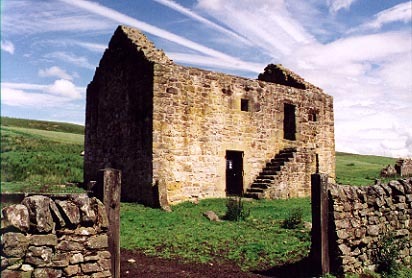 Pele towers and bastle houses of note in Northumberland include the vicar’s peles at Corbridge and Elsdon. These kind of pele towers (pele is pronounced peel by the way) were built specifically to protect local clergymen who might have been seen as easy and relatively wealthy prey for raiders in times since past. Many other pele towers throughout the county were associated with local Border Reiver families. The same was true of the bastles of which examples can be seen in the main street in Haltwhistle or at Black Middens in North Tynedale where we can be impressed by the thickness of the defended walls. Many of Northumberland’s castles lie in ruins, notable examples being the impressive remains of Norham Castle which overlook the River Tweed and neighbouring village of Norham. 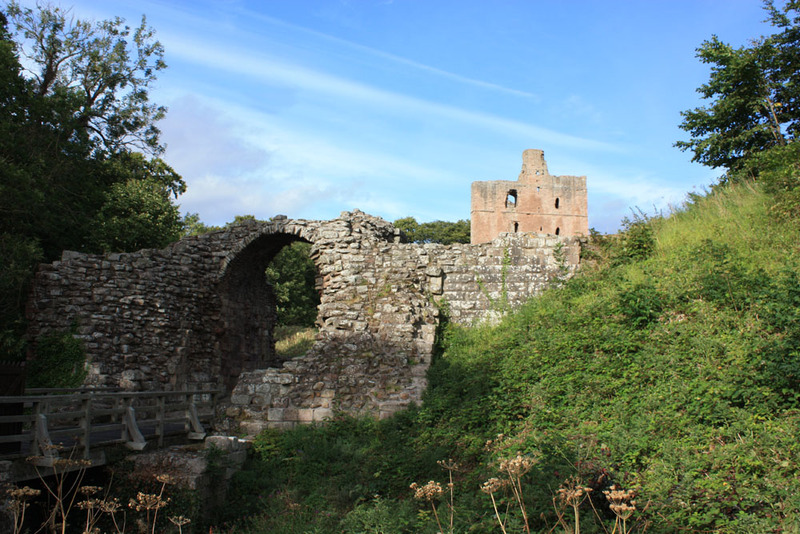 Surprisingly Norham Castle belonged to and was built by the Prince Bishops of Durham as Norhamshire formed an outlying part of their territory. Further north still the town of Berwick upon Tweed was once the site of medieval castle that stood on a site now occupied by the town’s railway station but the main remaining historic defensive feature in that town today is a system of defensive walls that date from Elizabethan times. Castles, bastles, towers and peles are of course just as much a feature of the border landscape when we cross the border into Scotland to the north: Floors, Duns, Smailholm, Hermitage, Ayton, Cessford and Fatlips are notable examples of castle and peles and there is a similar variety of fortifications to what we will find in Northumberland. The biggest difference is that across the border we will find many fortifications that have been modified over time to take on that distinctly Scottish, architectural style which has echoes of castles found on the continent in Germany and France but which are not a feature of the Northumberland and Durham landscape.